I live in the Halifax area of Nova Scotia, Canada. I have had several different careers spanning almost 40+ years. Although I have had many hobbies over the past 40+ years I want to direct this bio towards the automobile hobby. I remember that as a kid I liked building cars and carts. I would salvage every baby carriage and tricycle wheel I could find. The biggest challenge was trying to find someone to push me around in my latest fabrications. I also remember gathering up all the magazines I could find and then cutting out the car pictures. We soon became the family in the neighborhood with whom people did not wish to share their magazines. Two of my brothers were 10 plus years older than me and they were always working around their cars. I was never very welcome when I offered to help out but somehow I managed to pick up some mechanical abilities. I was 15 when I bought my first car for $25...well calling it a car might be stretching the truth a bit. It was a 1947 Oldsmobile L-head 6...actually it was only running on 4. I decided that I had the mechanical abilities to rebuild the engine. I am probably the only guy to drop the engine out of a 47 Olds out the bottom of the car to work on it. I learned a couple of lessons...(1) Don't dismantle an engine on the tall grass unless you have a magnet (2) Don't try and jump start a 6 volt battery with a 12 volt battery (especially if you are standing over the 6 volt one). I did manage to get the engine back in the car and it did run on all six cylinders for a period of time (we won't go there). I have had about 60 cars and trucks during the past 40+ years. It would serve no purpose to list them but I will touch on a few. My first new car was a '66 Corvair Monza. I soon learned about the 180 Turbo Corsa's and I picked up a couple of those. After tiring of breathing oil fumes blown in by the Corvair heating systems I bought a '64 Ford Thunderbird. The 390 ci engine had the economy of six pavement rollers. 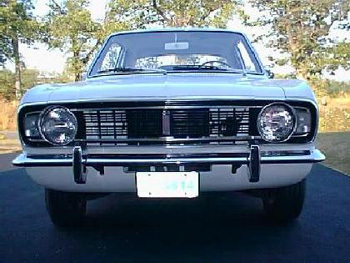 I had several Ford Cortina GTs (British) and one Lotus model which I restored almost 25 years later. 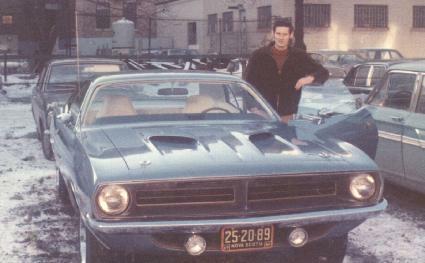 My first muscle car was a '70 'Cuda 340 4-speed (I am not sure why I am still living today). I had two new Mercury Capris, a '73 and a '74(German...a 2.6 and a 2.8 litre V6). Oh yes, I forgot the '69 Volvo 164...I am still trying to forget it. In March of '77 I was getting pretty bored with the last car I had bought and my employer was paying me way too much money. The snow had melted and I was ready for something different. Driving by the GM showroom one Thursday morning something very bright and yellow caught my eye. There it was and I could not leave the showroom until I saw that sold sign on the windshield. The '77 Corvette was mine. I never slept a wink that night and I was the first guy in the bank Friday morning. When I got to the GM dealer they had taken it out of the showroom and it was waiting outside the door for me. It was an L-48 4-speed with power windows, 8-track, sport mirrors and rear defrost...price tag $11,650 CND. It was during the mid '70s when I started the auto restoration hobby. 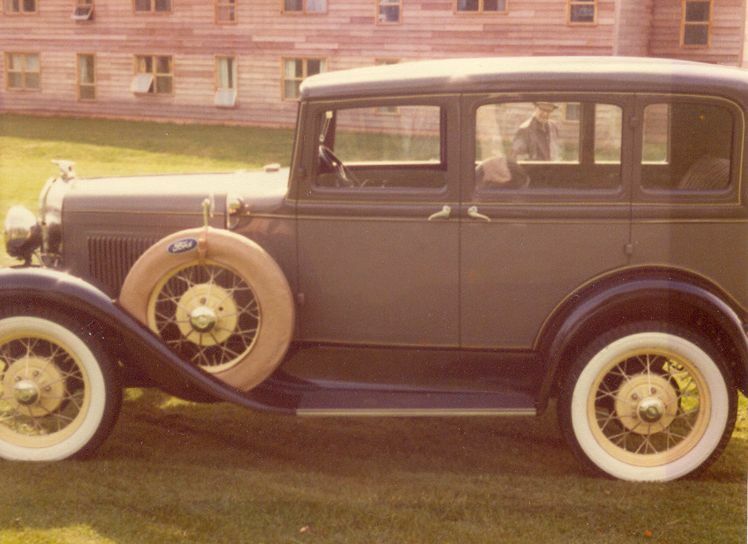 During a five year period I restored a '31 Ford Model A Slant Windshield to factory specs. I traveled many miles in the Corvette buying parts for the Model 'A'. Destinations included Ohio, Kansas, Georgia and the US eastern seaboard. It was in late '79 that I decided that I did not want to make beer the rest of my life (drink it maybe but not make it). In order to fund my university experience, I sold my restored Model 'A' to a guy in Massachusetts. The second thing to go was my Corvette. It was VW beetles for the next four years. 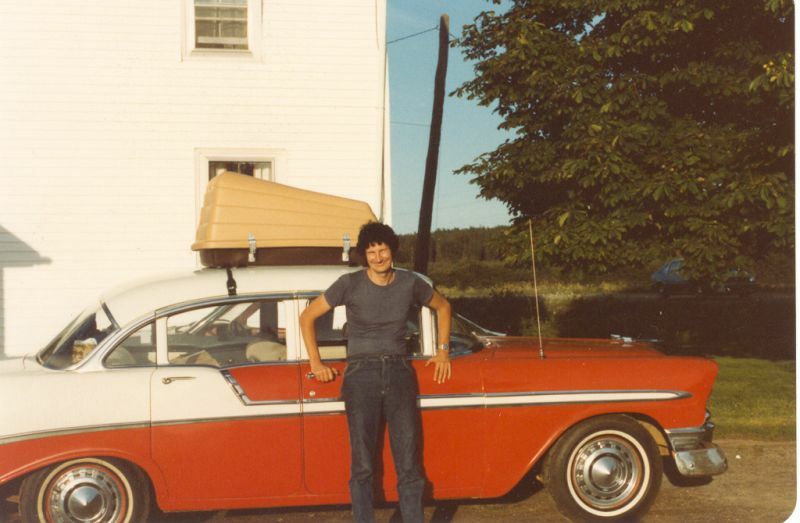 During my university years I had some time on my hands so I went down to New Hampshire and I bought a '56 Chev Belair. I spent the next two summers restoring it. 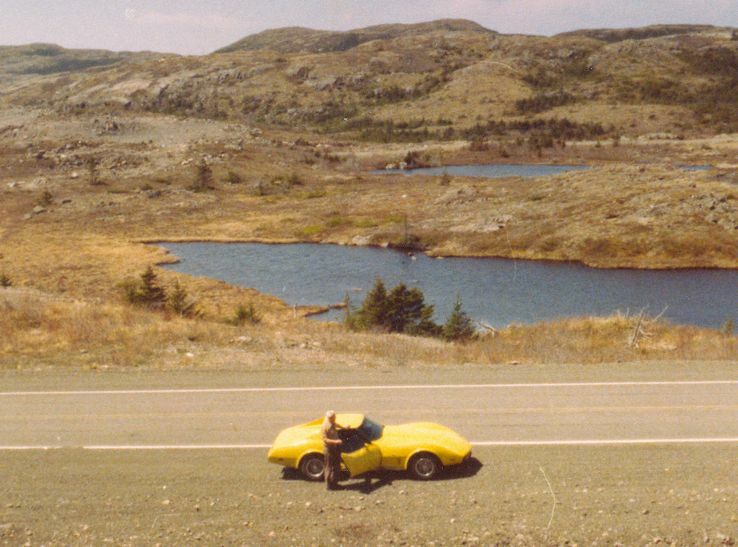 During the period June '84 to Aug '84, my wife and I drove that poor Chevy over 14,000 miles....Yellowknife, NWT to Anchorage, Alaska to Washington to Nova Scotia back to Yellowknife. Over the next few years, as middle age set in, other priorities seemed to take over. Cars sort of became a form of transportation and were seen as just another household expense. However, there was this one thing on the back burner that needed addressing. In 1973 my brother and I had bought a '67 Ford Lotus Cortina for navigational rallying. I knew these cars were quite rare so I started doing some research. This car was one of 38 imported into Canada in '67 and one of 345 LHD units built. I knew I wanted to restore it so during the period '92 to '97 I completed a full restoration. Now what was I to do without a toy. I thought I would like to have another 'Cuda but my research soon proved that my bank account was a major hurdle. That was when I turned my research back to Corvettes. 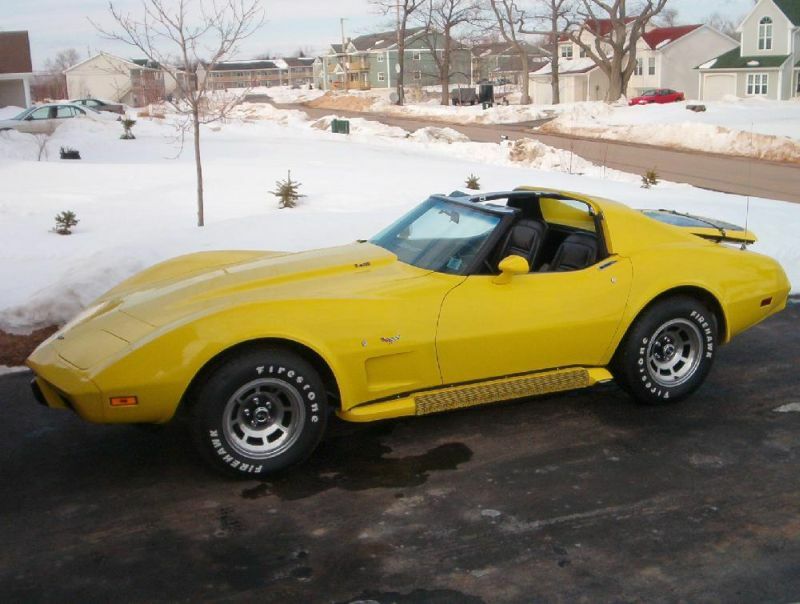 I decided that if I was getting a Corvette it had to be a '77 and it had to be a code 56 car. I also wanted a low mileage car that I would not have to do any major work on as I had already breathed enough sand, dust, dirt and paint fumes for 25 people. I struck gold in more ways than one. The car I found was an original owner car with 63,000 miles, a code 56. The car was just outside of San Diego (only 3799 miles from my driveway). After having the car appraised we reached a deal and in late May of '00 my wife and I flew down to California and drove 'Buttercup' back to Canada. This has been the 19th summer we have had the car and it continues to run flawlessly after an additional 50,000 miles on the odometer. I am quite familiar now with '77 Corvettes and the technology of that era does not prohibit me from servicing and maintaining the car to factory specs. I have made some major changes in order to make our Corvette our retirement car. As the price of fuel continues to skyrocket, I needed to make the car more economical and bring the 30 year old handling technology up to today's standards. These modifications included a new power train, suspension and steering. The car now has a 5 speed transmission, a new GM ZZ4 engine, composite mono spring suspension both front and rear and a rack and pinion steering system. The original spare tire has never been mounted and the original paint still has the factory shine.